Great space for the quiet medical professional. 17' x 11.5' Excellent location. Plenty of parking. Utilities included. Very bright and spacious with skylights. 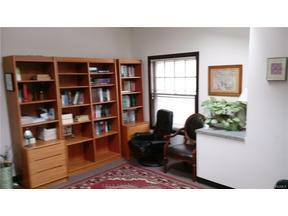 Private office with its own separate entrances Near public transportation and major roadways. Shared building includes waiting area , multiple bathrooms for visitors. Staff kitchen and facilities. Space large enough for group sessions or to meet your appointments.